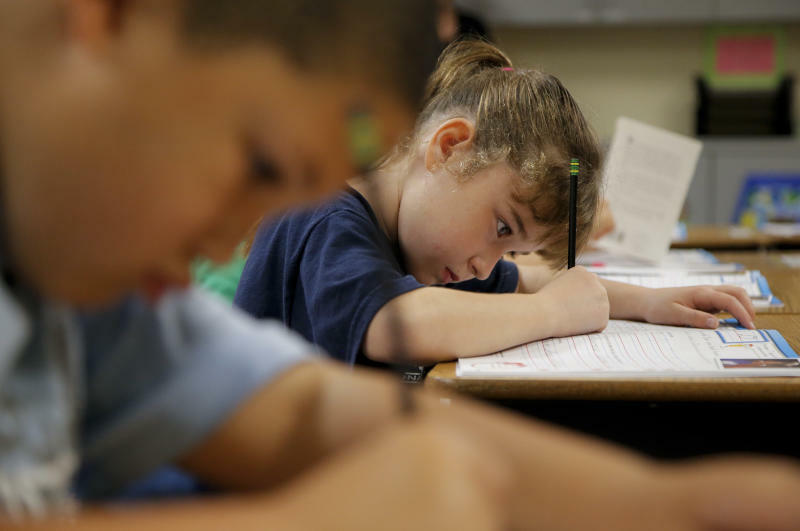 LOS ANGELES (AP) — The pen may not be as mighty as the keyboard these days, but California and a handful of states are not giving up on handwriting entirely. The debate comes as 45 states move toward adopting national curriculum guidelines in 2014 for English and math that don't include cursive handwriting, but require proficiency in computer keyboarding by the time pupils exit elementary school. Experts say manuscript, or printing, may be sufficient when it comes to handwriting in the future. 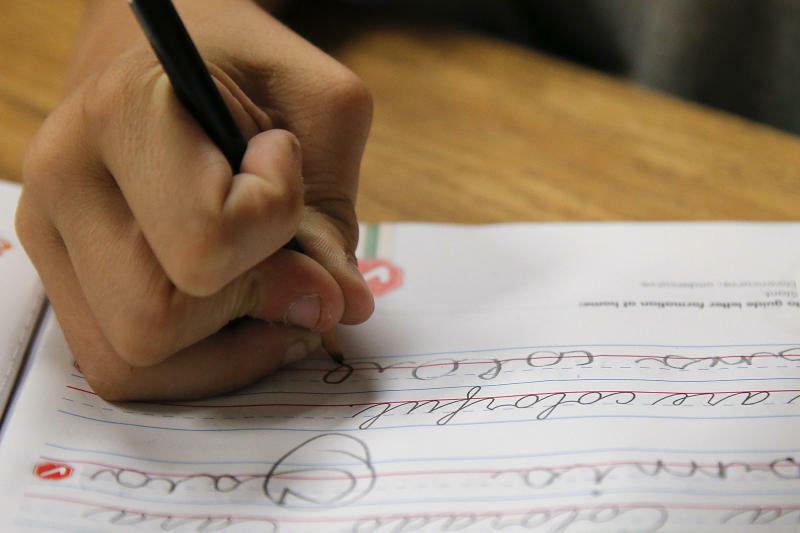 Cursive still has many proponents who say it benefits youngsters' brains, coordination and motor skills, as well as connects them to the past, whether to handwritten historical documents like the Constitution or to their parents' and grandparents' letters. Longhand is also a symbol of personality, even more so in an era of uniform emails and texting, they say. Avery also has a practical reason for pushing cursive — speed. She makes her 11th grade students relearn longhand simply so they'll be able to complete their advancement placement exams. Most students print. Baerg said she learned cursive in third grade, but has never used it and has difficulty deciphering her parents' handwriting. When she has to write by hand, she prints and never has a problem with speed. 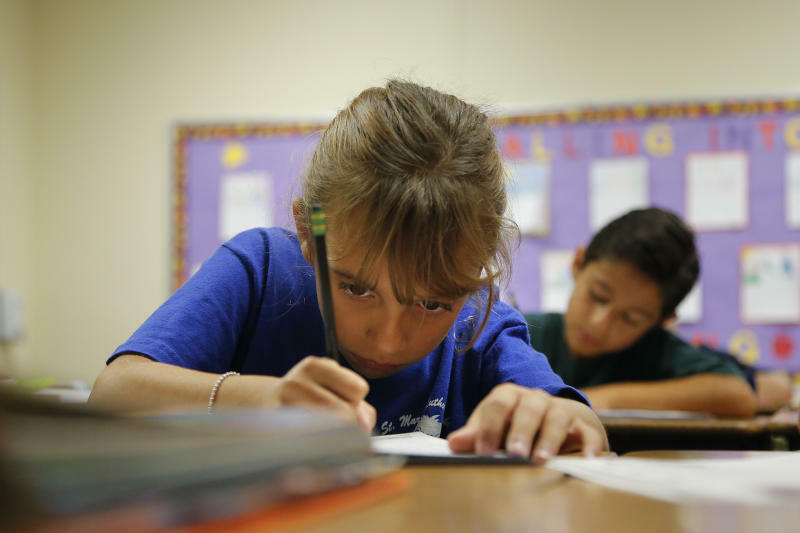 At St. Mark's Lutheran School in Hacienda Heights, cursive remains a core subject. Students are required to write in cursive through middle school so they become fluent at it, as well as work on computers, but increasingly transfer students arrive without longhand skills, said Linda Merchant, director of curriculum and instruction. They're given a book to study and practice at home. Graham, the professor, noted that the case for cursive is becoming harder to make, due to the benefits word processing offers such as spellcheck and cutting and pasting text, but he noted there are benefits to ensuring good handwriting. "People form judgments about the quality of your ideas based on the neatness of your text," he said.